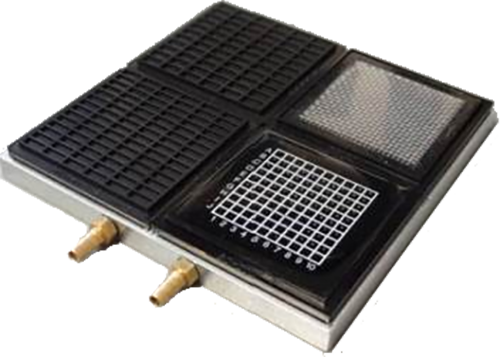 MicroXact can supply industry standard or custom wafer chucks to serve any application. Contact us with your probe station accessory requirements and we’ll provide you with a quality, affordable wafer chuck solution. Seen on this page are just a few of the various chucks we can provide. 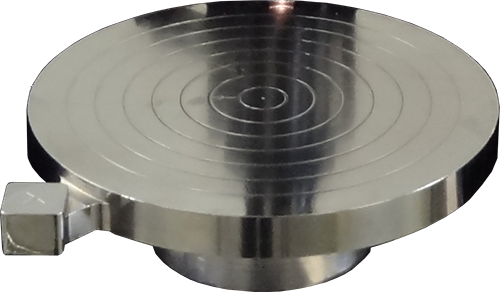 Vacuum chuck systems ranging from 25mm to 300mm in diameter are available with a variety of conductive or insulating coatings. Adjustable vacuum ports allow each chuck to handle samples of various sizes, including parts as small as 3mm. 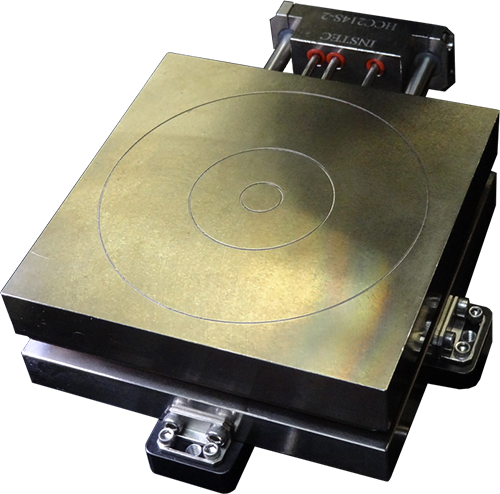 For RF and very sensitive measurements, these vacuum chuck systems are also offered in floating ground with coaxial connection or electrically guarded triaxial configurations. MicroXact can provide high precision thermal chucks in sizes ranging from 35mm to 300mm. We also supply the controller and other accessories which enable our thermal chucks to achieve temperatures as low as -190°C or as high as 600°C (depending on size and configuration). As with our standard vacuum chucks, the thermal chucks are available in electrically grounded, floating with coaxial connection, or electrically guarded triaxial configuration. As an option for customers who need to test or sort individual die (no longer in wafer form), we offer a chuck designed to hold as many as four of the 2″ Gel-Paks® or waffle packs. The chuck holds Gel-Paks® securely enough that vacuum is not necessary, particularly important when the die are on a vacuum-release Gel-Pak®.